For the wave of retiring baby boomers, the gold watch at age 65 and an abrupt end to working life is likely to be far from the norm. For the wave of retiring baby-boomers, the gold watch at age 65 and an abrupt end to working life is likely to be far from the norm. Dr. Sarah Keating, a Toronto pathologist, wanted to slow down in her career without leaving the field altogether. At 60, she arranged to job share with another pathologist, working alternate months at the hospital. She isn't alone in seeking out a transition into retirement. Older workers are consulting, working part-time, shifting into less stressfull occupations or turning a hobby into a business after leaving their full-time job. "I expect we will probably start to see it a lot more in the next three to five years as the larger wave of baby boomers hits retirement age," says Gordon Frost, who oversees the Canadian talent division of the consulting firm Mercer in Montreal. Just as the baby boom generation reshaped education and the workforce as its members entered in such great numbers, it is set to reshape retirement. The first of the baby boom generation, born in 1946, are already of retirement age, and boomers are set to leave the workforce for at least another 15 years. "The idea that you work for a period of time and on a particular day you stop working will be outdated," Frost said, predicting the new way of retiring will mean less of a clear line between work and retirement. There will be pressure on employers to be more flexible in the work arrangements they offer to older workers, he said. There are numbers bearing out the trend. A Statistics Canada study of people age 60 to 64 who had left long-term employment (defined as a job they had held for at least 12 years) found 43 per cent of them were re-employed, most within a year of leaving their job. The number of people who sought out new work was higher in Alberta and Saskatchewan, where it's likely more opportunities were available, and also among those who had been laid off, according to Aneta Bonikowska, a senior research analyst with Statistics Canada. The study was based on the Longitudinal Worker File, which follows workers over a 28-year period. It found that people without a company pension were more likely to become re-employed, but so were workers with higher earnings, Bonikowska said. "The higher your earnings are in your late 40s, the more likely you are to go back," Bonikowska said. She said the study didn't break down the education level or occupation of older workers who sought out new work, but it seemed reasonable to assume that today's more educated workforce has access to more opportunities to work after leaving a full-time job. 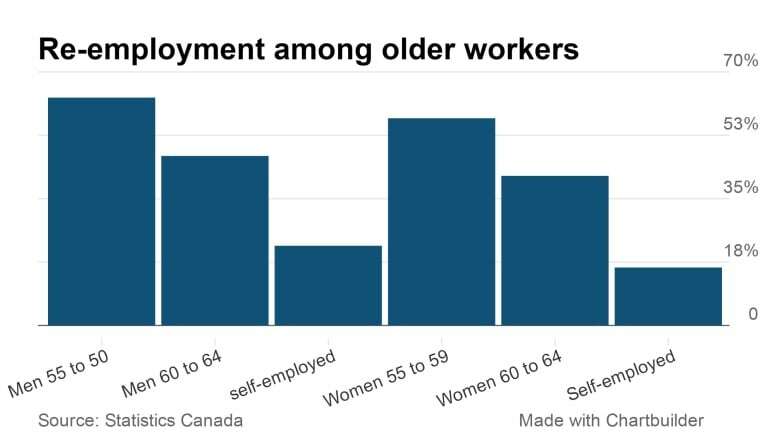 About 30 per cent of these older workers who were re-employed reported income from self-employment, compared to 10 to 13 per cent among a younger population. That may mean older workers are turning a hobby into a part-time business or, possibly consulting in their former occupation. Rosemary Venne, associate professor in the Edwards School of Business at the University of Saskatchewan, calls this new pattern of leaving the workforce "serial retirement." It makes sense when people now are living longer, healthier lives and still have lots of energy to take on new tasks, Venne said. "People retire from a career job, they will have a honeymoon period. They might take three months and think, 'I'm enjoying this. This is what I want to do.' And then I'm thinking about what I want my legacy to be," she said. Perhaps they will pour their energy into volunteering. There will also be many people who need to keep working longer, as lives get longer and children need more support. "Their children are taking longer to leave the nest because it's taking them longer to get a career job," Venne said. "There is a much longer period of education for everyone. They may have had their children later." People find a way to use their expertise as a consultant or to do project work, but they want to do it on their own terms. "It's a big part of who you are. 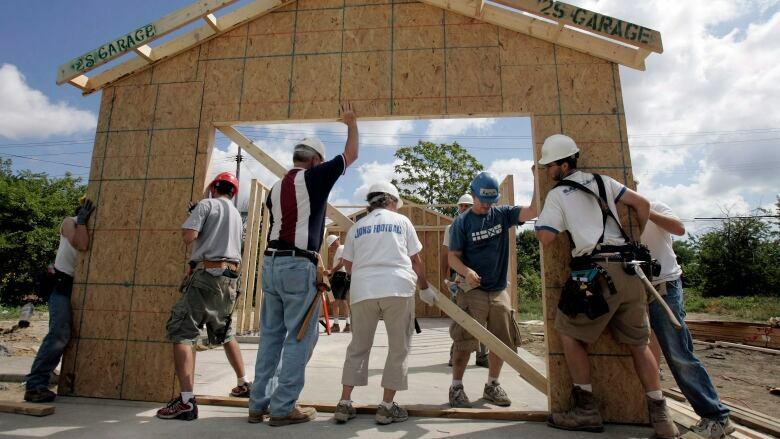 In North America, especially, who you are is determined by your job," Venne said. She said older workers may be looking for ways to ease out of the workforce, but there is inertia within workplaces when it comes to adapting to this new reality. "I just don't find we're set up for flexibility," she said. "We need work, pension and taxation policies to accommodate that." Frost said the potential shift in retirement patterns raises a lot of challenges for employers. How do they administer benefits, adjust the pension plan, manage a team and divide the workflow when some employees are only there a few days a week or just part of the year? He believes flexibility will develop within organizations and will eventually mean more freedom to move in and out of the workforce for everyone, including parents of young children and people wanting to retrain mid-career. Some progressive employers are already trying new arrangements, Frost said, including one that allows retirement-eligible employees to start drawing part of their pension and come back on a contract basis. "From the employer's perspective, it allows employees with a knowledge base to mentor junior people and help them to transition to more senior jobs," Frost said. "If they [the baby boomers] left all at once, it would be a big problem, but at the same time, it opens up positions for junior people to be promoted into more senior jobs."